Sanitation and intestinal health is something we often take for granted today. However, people living in many regions of the developing world still suffer with debilitating diseases due to the lack of sanitation. Despite its clear impact upon health in modern times, sanitation in past populations is a topic that has received surprisingly little attention. This book brings together key experts from around the world to explore fascinating aspects of life in the past relevant to sanitation, and how that affected our ancestors. By its end readers will realize that toilets were in use in ancient Mesopotamia even before the invention of writing, and that flushing toilets with anatomic seats were a technology of ancient Greece at the time of the minotaur myth. They will see how sanitation compared in ancient Rome and medieval London, and will take a virtual walk around the sanitation of York at the time of the Vikings. 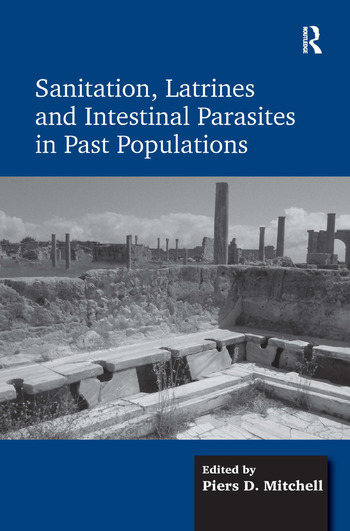 Readers will also understand which intestinal parasites infected humans in different regions of the world over different time periods, what these parasites tell us about early human evolution, later population migrations, past diet, lifestyle, and the effects of sanitation technology. There is good evidence that over the millennia people in the past realized that sanitation mattered. They invented toilets, cleaner water supplies, drains, waste disposal and sanitation legislation. While past views on sanitation were very different to those of today, it is clear than many past societies took sanitation much more seriously than was previously thought. Dr Piers Mitchell is one of Britain’s leading ancient diseases specialists, and is trained as biological anthropologist, medical historian and physician. He teaches at the Department of Archaeology and Anthropology in the University of Cambridge.